Spam, email, and web filtering services not only help businesses to ensure employee productivity and prevent wasted time, but they also can help improve computer network security by offering virus protection as well. Spam emails can carry dangerous viruses that can harm your network or computers. With spam filtering and email filtering services, spam emails will be removed before begin downloaded to your system or before reaching any inbox. Web filtering using web content filters can monitor employee internet usage and prevent access to websites that are suspected to contain dangerous malware or viruses. At Forward Slash Technology, we offer spam, email, and web filtering services for small, medium, and large businesses around the country. To learn more about these services, please contact our St. Louis based IT company. Email is a valuable form of communication for modern professionals. However, with the growth in the popularity of email, there has also been an increase in spam email. 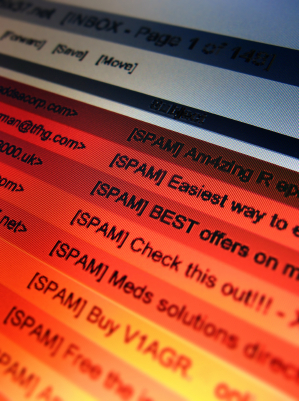 Spam messages are an annoyance, and inhibit work performance and staff productivity. Additionally, spam is a major security concern as spam emails transmit viruses and initiate virus attacks. Forward Slash Technology offers high-security email filtering and spam filtering services. As a St. Louis IT company, we offer live, local support for email and spam filtering for St. Louis, St. Charles, Manchester & Chesterfield. Spam and email filtering can help businesses to alleviate the spam problem and help protect their network. With the spam filtering or email filtering program from Forward Slash Technology, emails are filtered through five defense layers to verify authenticity of envelope information. This way, any incoming messages that are flagged as inappropriate are dropped even before receiving the message. Emails that survive the initial spam filtering and email verification process must then undergo a thorough mail scanning process that involves an additional seven defense layers of message analysis. Our program and algorithms used in this email filtering process are continuously updated in order to stay ahead of changing spam trends. 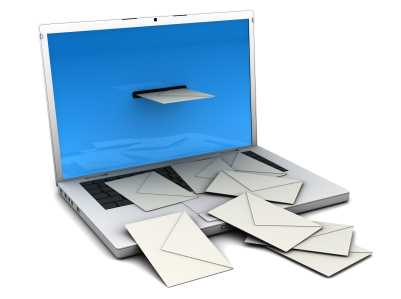 To learn more about our spam filtering or email filtering program, please contact our IT company. Web filtering services are an important part of your computer network security as they can be used to prevent users from unintentionally downloading or accessing viruses when using the internet. They can also be used to monitor and track internet usage behavior of company employees and other network users in order to ensure adherence to corporate policies. In addition to recording internet usage and receiving usage reports from our web filtering services, our web content filter can also prohibit and block access to certain sites. Our web filtering software will help small, medium, and large size companies monitor internet usage by all network users. The reports available from our web filtering service will allow businesses to determine and review network bandwidth usage and determine needs, they can alert a business if individuals attempt to access potentially malicious applications or dangerous websites containing spyware or viruses, and they can help businesses improve employee productivity by revealing leisure browsing occurrences and even preventing access to certain popular leisure websites. To learn more about our web filtering services and to determine if these services are right for you, contact our IT company.